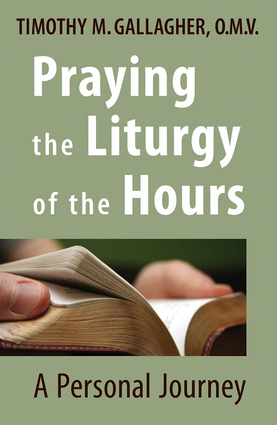 Father Timothy Gallagher, loved for his popular guides to Ignatian spirituality, shares in this informative, inspiring volume his own experiences and insights into the daily prayer of the Liturgy of the Hours, which he has prayed daily for the last 40 years. All around the world, everyday, for hundreds of years, Catholics pray the psalms, and readings from the bible and from tradition, in a formal way called the Liturgy of the Hours. And like in any meditative practice there are blissful days and others that are just a dry challenge. What does it all mean? Can the Liturgy of the Hours, with its hymns, psalms, readings, and intercessions, become the prayer of every Christian—priest, religious, and layperson? Can it bring new energy into our spiritual lives? Fr. Tim shares his experiences praying the Liturgy of the Hours for the last four decades and invites the reader into the beauty and possibilities of this simple way of praying. Timothy M. Gallagher, OMV, is considered to be one of the greatest interpreters of the spirituality of Ignatius of Loyola. He is a popular retreat leader, an Ignatius scholar, and a lecturer. He is the author of several books, including Begin Again, The Discernment of Spirits: The Ignatian Rule for Everyday Life, The Examen Prayer, An Ignatian Introduction to Prayer, and Meditation and Contemplation. He lives in Boston.